So, I went to the National Literacy Trust midsummer’s party last night. I am a huge supporter of their work and how they aim to help to lower and eventually eradicate the high levels of illiteracy in this country. It’s only when you hear the patrons of the charity talk that you’re reminded how so many people don’t have access to books – especially with what has been happening to libraries in recent years. But you know my feelings on that. 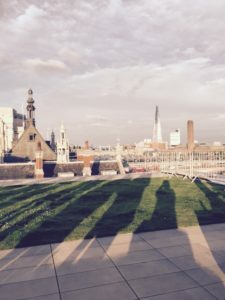 At the event, held in London at the Hatchette building with amazing views of London, I had one of those moments. 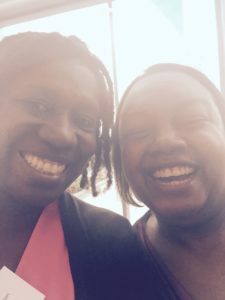 You know, one of those moments, when you look across the room and spot Malorie Blackman and your heart stops because you’re looking at one of your writing heros. And she’s talking to another author you admire – Chris Riddell – and you realise that this is one of those few moments when you can go and make a total show of yourself in front of them and NOT ACTUALLY CARE.